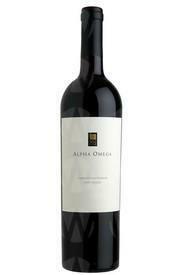 Alpha Omega located in legendary Rutherford in the heart of Napa Valley and is one of Napa´s newest boutique wineries. Surrounded by vineyards and mountains, the beauty of its rustic, farm-style winery is as captivating as its wine. ; Alpha Omegas extraordinary winemakers, along with historic vineyards, combine to create wines that express the essence of this famous wine region. Talented young winemaker Jean Hoefliger has teamed up with one of the worlds finest palates, Michel Rolland, to create wines that express their passion for excellence as well as the unique terroir that is Napa Valley. By sourcing prized grapes from the many appellations of Napa Valley, our winemakers blend the essence of exceptional terroir ranging from valley floor, hillside, mountain and coast. Using natural techniques, they handcraft finesse-driven, complex and balanced wines which express the aromatic profile of the best Napa Valley has to offer. ; Hoefliger and Rolland's combined award-winning winemaking techniques create elegant, approachable and perfectly balanced wines of the highest quality through blending the best of Old World and New World wine styles. A gifted young winemaker and a master winemaker are discovering together the excitement of creating world-class wine from world-class grapes in world-class terroir for Alpha Omega. ; Our tasting room is open daily from 10 am to 6 pm. Private Tastings are available by appointment only and an appointment is required for groups of 6 or more. Alpha Omega offers a private seated tasting experience which is hosted in one of three of the winery´s exclusive private tasting rooms for a heightened personal experience. Alpha Omega also offers an Exclusive Single Vineyard tasting, which is a horizontal tasting experience of our limited production single vineyard Cabernet Sauvignons hosted in our exclusive Barrel Loft by a wine educator. ; Please call 707.963.9999 or email concierge@aowinery.com to book a private tasting appointment. Winery Features Open for wine tastings Open to the public Open by appointment - call/email Offers tours by appointment - call/email Winery is family friendly Dog friendly - It's ok to bring your dog! Tasting at tasting bar Seated tasting available Tasting available in private area Tasting fee Tasting fee waived with wine purchase Indoor tasting area Outdoor tasting area Barrel tasting available Winemaker or owner usually available Winery has gardens Winery has unique architecture Winery has art on display Couches Fireplace Romantic Family run Napa Green Certified Winery Napa Green Certified Land Winery practices sustainable agriculture/production Winery can host corporate functions up to 100 people Club member lounge Family Friendly Winery We have a beautiful outdoor area for children and families to enjoy.